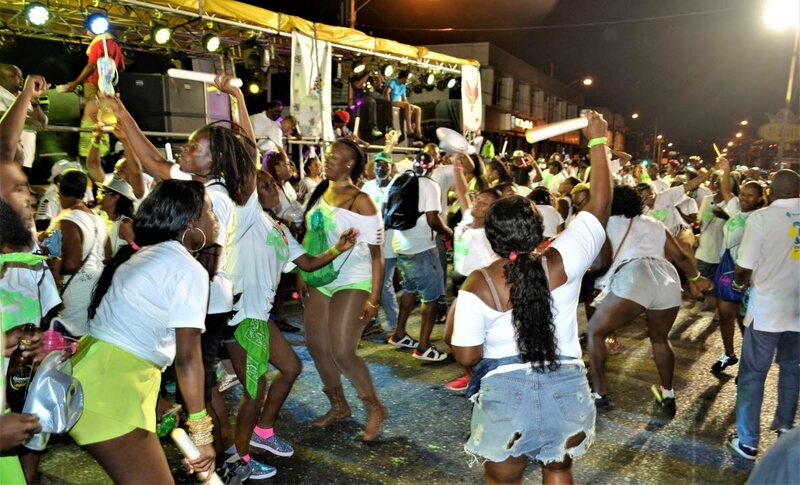 The final event of this year’s WeBeat St James Live took on a Carnival-like atmosphere with pan music ringing out for most of the night, then a parade of traditional mas characters and finally masqueraders of the Brite Nite Band, parading up and down the Western Main Road on Saturday night. NGC Couva Joylanders was joy to listen to as the band came to the fore of the amphitheatre playing Sweet Soca Man, and once stationary did This Melody Sweet and left with Hello, hundreds of onlookers chipping down the road with the band. NGC Couva Joylanders were a joy to listen to. Just before Joylanders, Nutrien Silver Stars worked up the crowd with Gold and Black Man Feeling to Party. 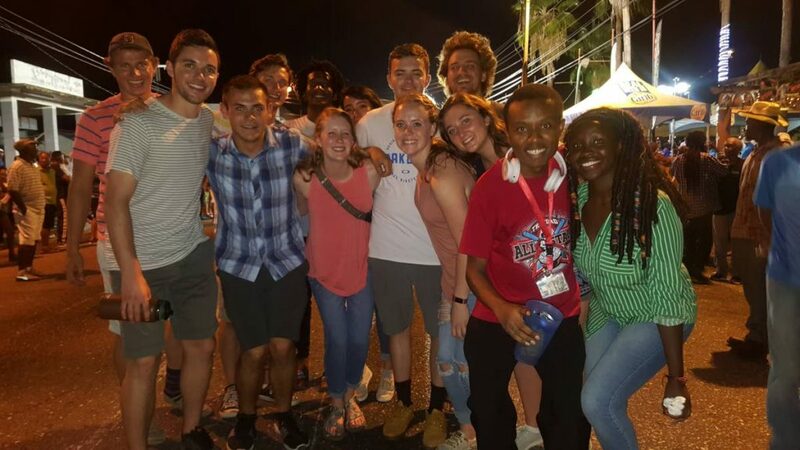 That band too had a big following of jumpers, as did Hadco Phase II with Woman is Boss and This Feeling Nice, and also Woodbrook Playboyz with Sweet For Days. Shell Invaders’ delivery of Bound to Dance got couples on the street dancing before they left with one of the two most popular songs of the night, Hello. The other was Year For Love. Before the start of the parade, the stationary TT Chinese Steel Ensemble thrilled the crowd at the amphitheatre with a medley of old-time calypsoes, followed by Jasmine Flower, Viva, Ode to the Motherland, High Mas, Brazil and Take on Me. TT Chinese Steel Ensemble thrilled the amphitheatre crowd. Hosted by the St James Community Improvement Committee, the evening began with La Creole Pan Groove, also stationary, playing Year For Love, Hello, This Melody Sweet and closing with a medley of old love songs. Just before the parade MHTL Starlift gave the crowd Dancing Queen, Feel It Coming, Kaka Roach and No Wuk. Tunapuna Vibrations Rhythm Section was the first set of live sounds on the Western Main Road, then came Uni Stars, who started the steelband parade with The Lizard, Darling and Doh Do Dat, and were followed by Scrunters Pan Groove with Dancing Queen and Under the Boardwalk, Brimblers with I Am I Said, and Angostura Newtown Playboys with Year For Love, Hello, Overdue and Butterfly. 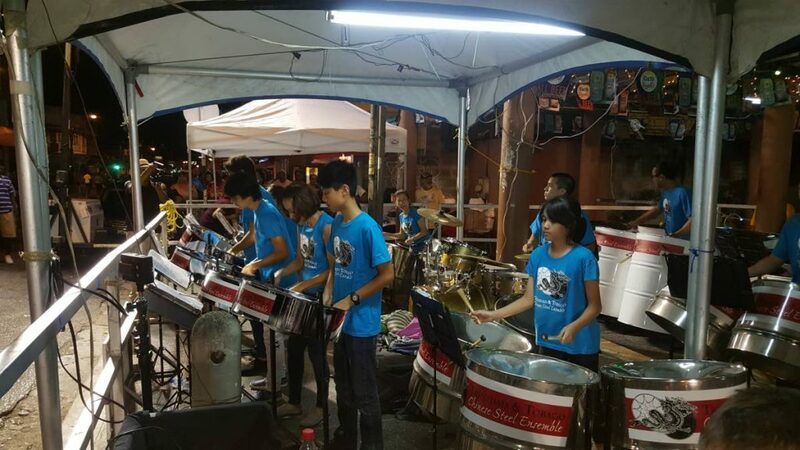 Also performing were Harvard Harps (Hello, Year For Love), Old Tech (Sweet Soca Man, Feeling It, Black Man Feeling To Party) and the band being honoured this year, the long-standing Power Stars Steel Orchestra, formerly Blue Stars, playing Dingolay and Push Back on Me. A live performance by Edwin “Ejay” Granger Jr, frontline singer from the Prison Service Band, who sang his latest track Mad Stampede, followed by traditional mas characters doing their thing. 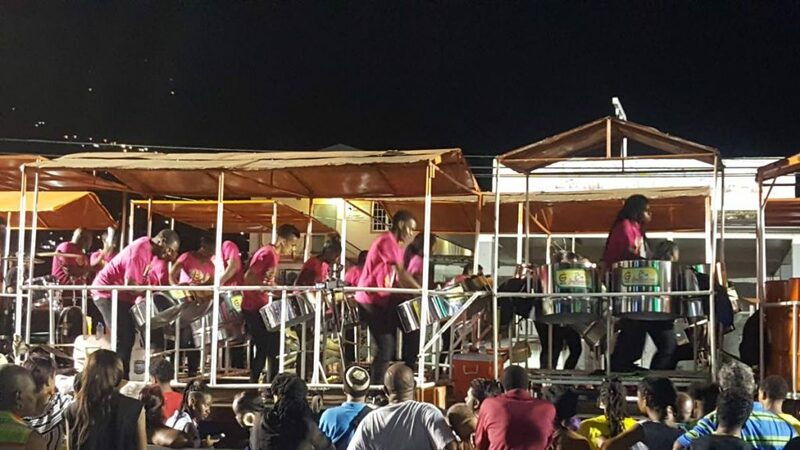 The event ended with an innovation: the NCBA (National Carnival Bands Association) presenting its Brite Nite Band, similar to Grenada’s Monday night mas. However, while the atmosphere was great for the masqueraders, the crowd was robbed of the spectacle of the seeing hundreds of glow sticks, hats, wands and glasses to truly brighten up the night, since all the paraphernalia ran out of illumination. Nevertheless, the entire night was thoroughly enjoyed by all who attended.